Is there documentation on the $A functions that are part of the published API (i.e., safe to use)? Lightning bindings limitations - what are they? 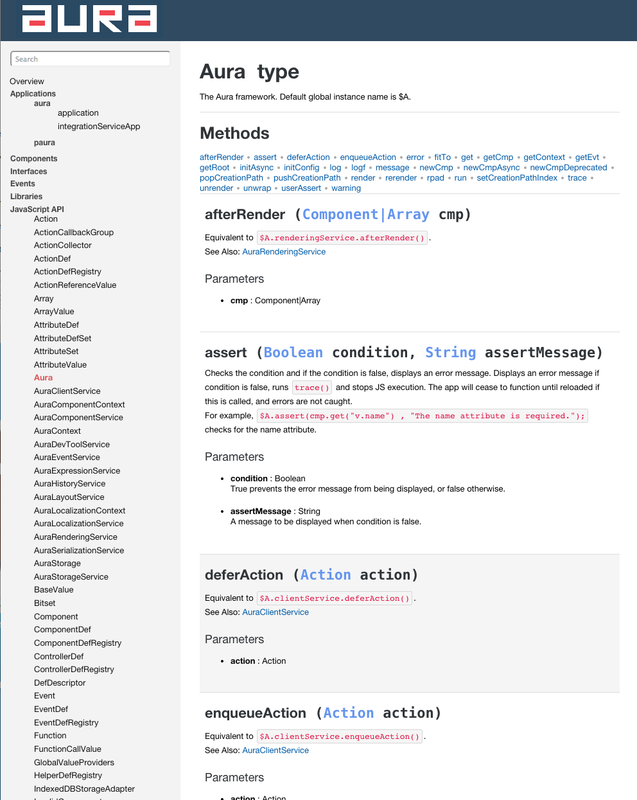 Lightning Components: why are subsequent invocations of $A.enqueueAction() so super SLOW? What are the outer parentheses in Lightning controllers? lightning:input methods - which are available? Access lightning component controller functions from renderer?